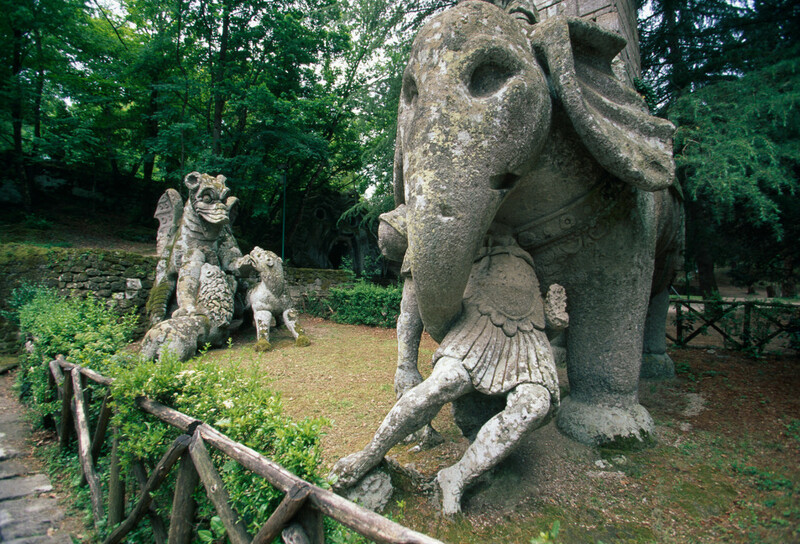 Bomarzo is the glory of an illustrious history and has a work unique in its kind: "The House of Wonders". 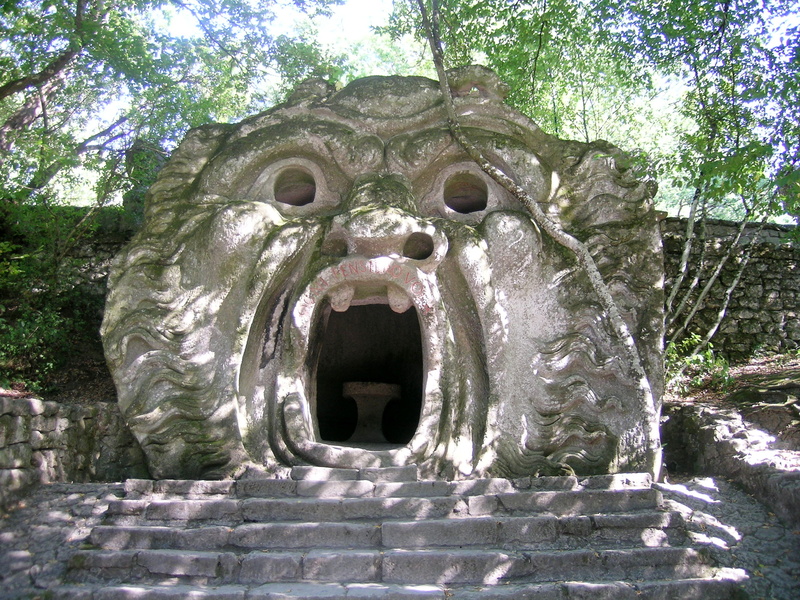 The "Sacred Wood of Bomarzo" was commissioned by Prince Pier Francesco Orsini and was designed by the great architect Pirro Ligorio who, after the death of Michela ngelo, was called to work in St. Peter. 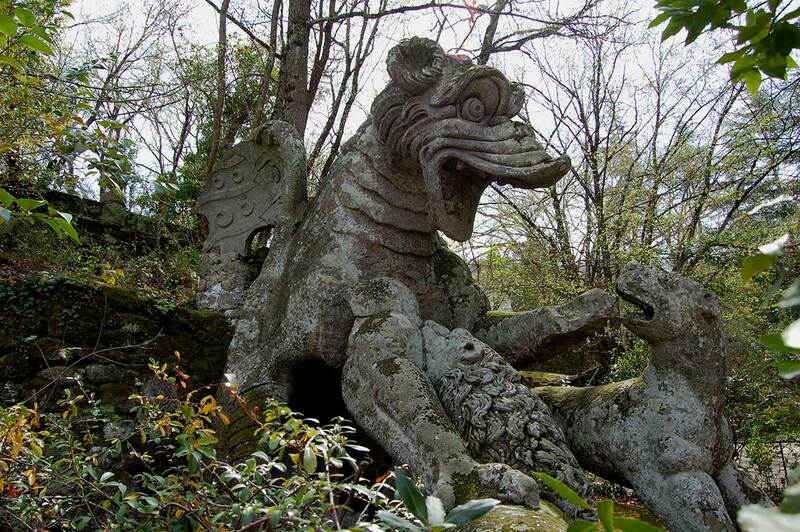 It 'a masterpiece that lasts over time, and that the popular imagination renamed as "Monster Park". By entering this site, you will be greeted by the verses engraved under the two Sphinxes. You will then pass from one surprise to the sudden appearance of an imals and stone figures. The elephant, the struggle between Draghi, the Orc, Bears lurking, three-headed animals, Neptune, mermaids and other interesting shapes, and finally over the head of an Orc, the Globe with overlying Miniature Castle Orsini, signifying the power of the House. Intellectual writers, artists and tourists from around the world come here to enjoy this open air museum.